In honor of St. Patrick’s Day, we are bringing you a booze review. But this isn’t any regular booze review. This one is tied in to the holiday. Amazing, isn’t it? 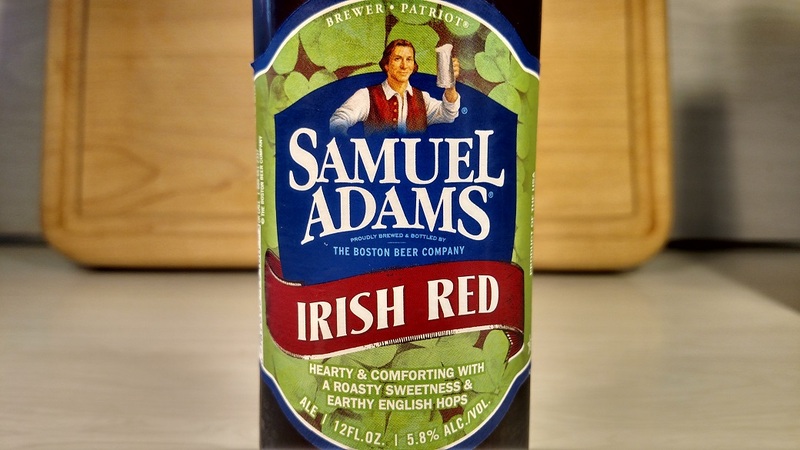 Yes, in honor of the holiday, we give you our review of Samuel Adams Irish Red. Before we continue, do you see the irony here? 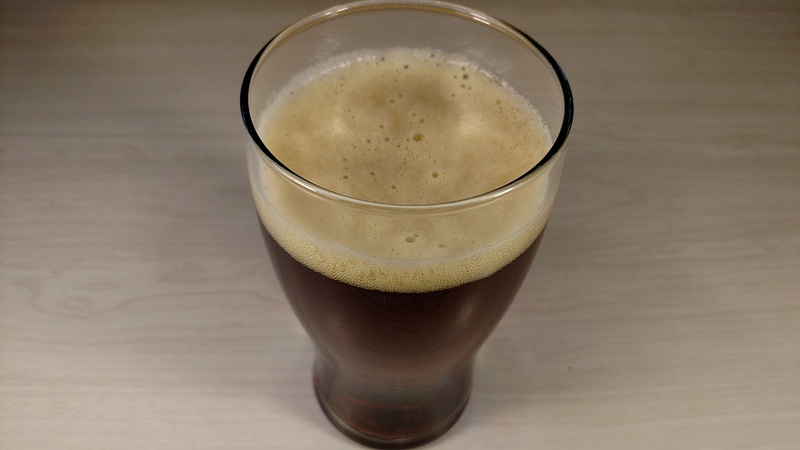 We are reviewing an IRISH-style beer that is made in BOSTON for an IRISH holiday. What the hell is going on here? Classic Fewd Snobs right here, people. We realize that this brew isn’t new. From Herman’s research (he’s a detective, remember?! ), we have discovered that the beer has been around since 2007. Somehow, amazingly, neither of us have tried the Sam Adams Irish Red. It got past us. So, it seemed logical to try it out this week in honor of Drunk Day…er…St. Patrick’s Day. We’re smart, eh? Sam Adams makes craft beers. Craft beers are for actual snobs. We Fewd Snobs prefer sucking on Coors Light and Miller Lite. Screw all of you pissy bastards! We like our MAN BEER! But that said, we figure that Sam Adams is big enough now to kind of lose some of the beer snob persona. It is the biggest brewer of craft beers out there. That should count for something. And further, Sam Adams’ target audience is not the beer snobs. It makes craft beer that appeals to everyone. You will see a Miller guy drinking a Sam Adams in a tavern. That’s good enough for us. 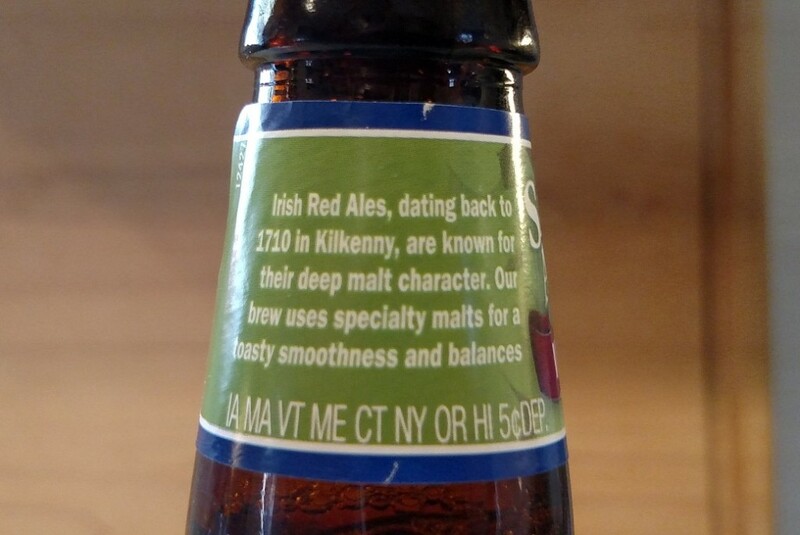 Plus, we think an Irish Red is exempt from pissy craft beer status. There is nothing pretentious about it. Irish Reds are sucked down in the tavern while singing, “Does your mother come from Ireland?! Is there something in you Irish?! !” You get the idea. So, for all of the reasons above, we picked up a six pack at our liquor store. Looks pretty Irish to us. See, there are shamrocks! 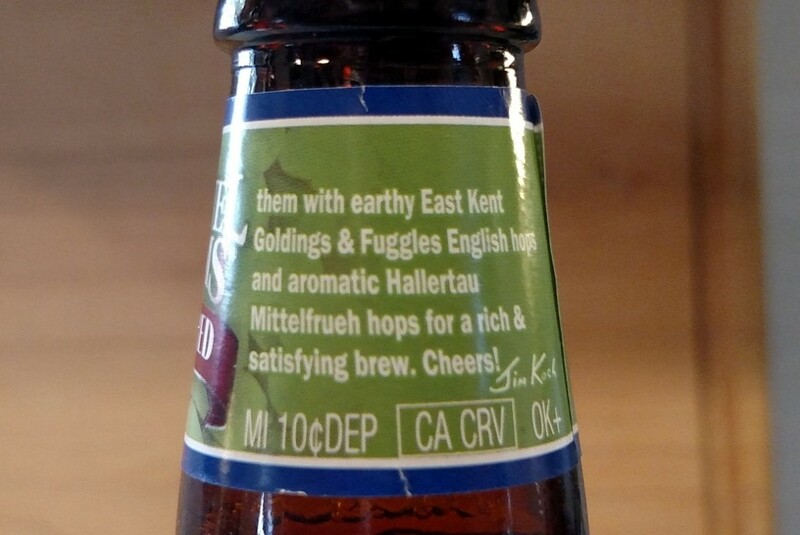 OK, the description on the front of the label is a little pissy. Again though, it is an Irish Red. We will give it a pass. Here we have a nice glass o’ Irish beer. Nice. You can see in the pic, the beer has the color of a classic Irish Red. It is exactly as you would expect. 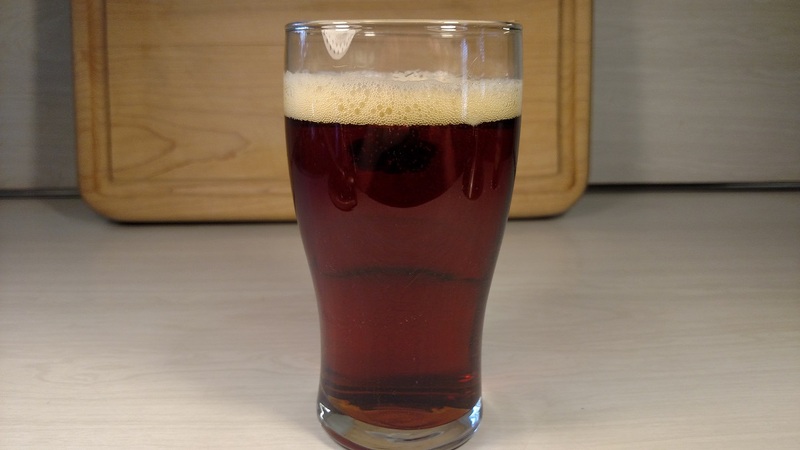 If you pour it right, as our resident drunk Herman did, there is a nice head that stays with the beer for the glass. The consistency is nice and creamy (HO HO!). This beer has a nice, even, and balanced flavor. 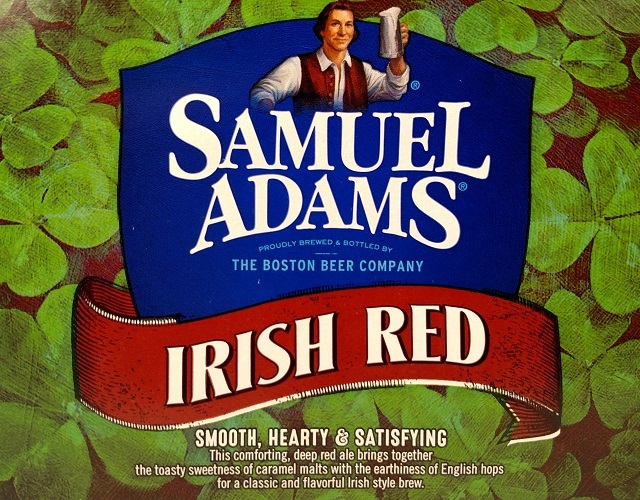 Irish Reds go for that in theory, but it seems to us that some lean more heavily towards one flavor or another. The Sam Adams version is more even. It is not too sweet. It is not too bitter. It has a nice, light malty flavor. The flavor hits right away, but then it evens out quickly. The aftertaste kicks in, but it is even. Even is the key word, people. You don’t just get a blast of hops, for example. Good stuff. The consistency is creamy. The beer is not crisp, but it isn’t too heavy either. It is a medium-bodied beer. We both like the flavor, overall. This is a good, well-rounded beer that everyone can enjoy. We paid a little less than ten bucks with tax for a six pack. That seems like a pretty good value to us. Craft beer at a reasonable price. This is another example of why Samuel Adams isn’t pissy craft beer. The price isn’t ridiculous. The taste is excellent. The value is there. Good job, Sam Adams. You have a great beer here. 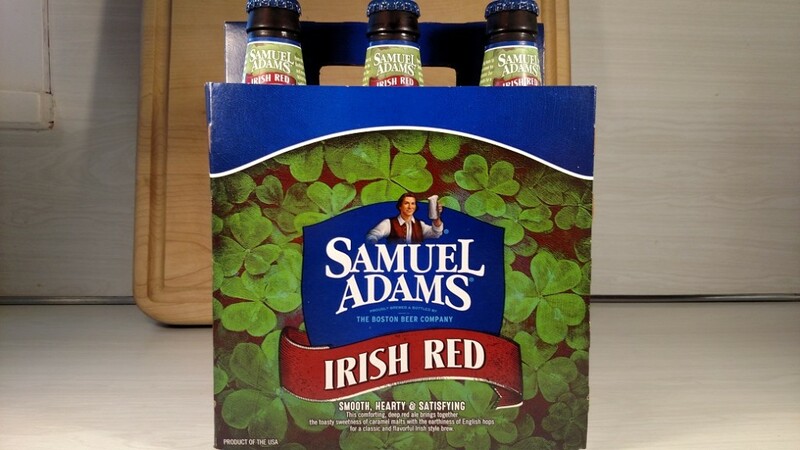 Now, go to the store and get you a pack of Sam Adams Irish Red. With this stuff in hand, Irish or not, you’ll be celebrating St. Patrick’s Day right!